Say NO to plastic bags! Grab your environmentally friendly bohemian bag from us. 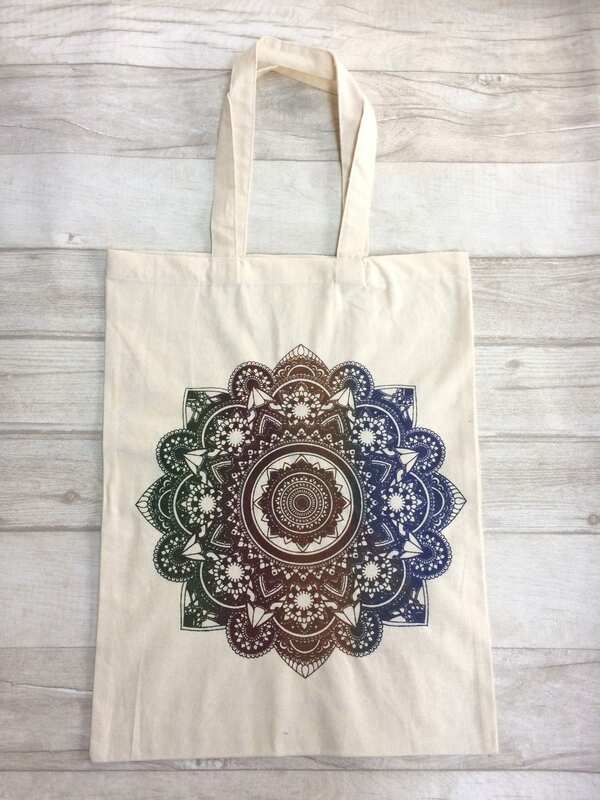 Inspired by beauty and spirituality, our bohemian tote bags scream positive energy and good vibes! 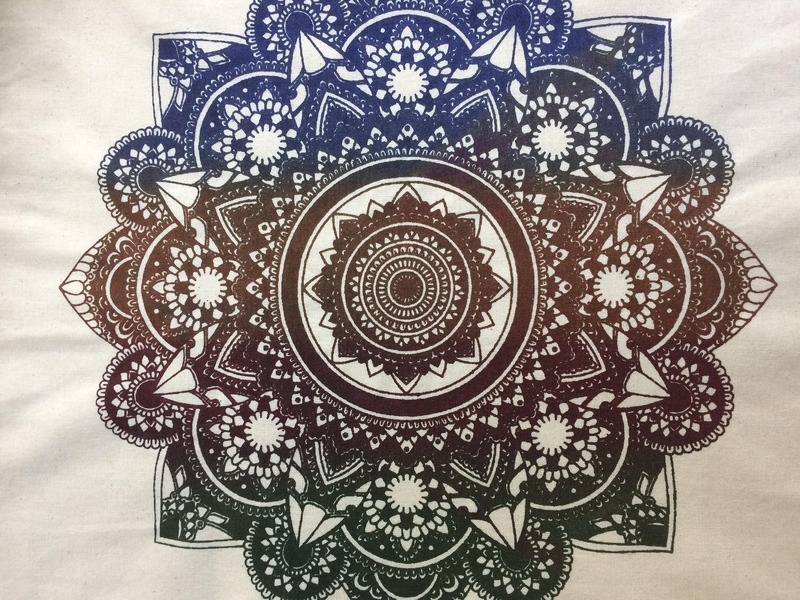 Release your yogic goddess and get yourself noticed with our beautiful mandala bags. All of our bags are screen printed by hand onto 100% Cotton handmade bags. Channel good vibes and let your energy flow. 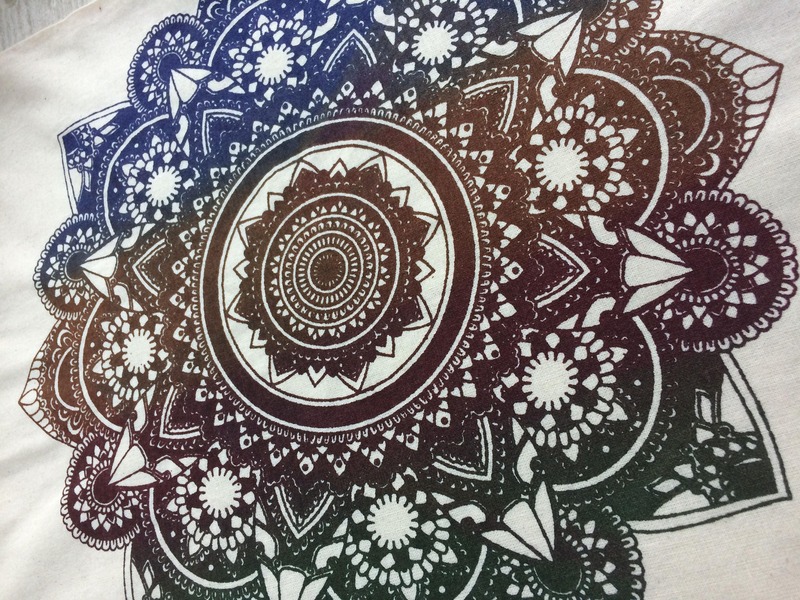 *Due to our bags being being hand printed, colours may vary slightly to photograph. Handmade with love from Liverpool!